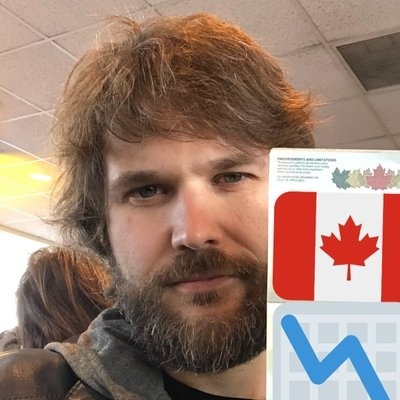 Brad Mills is the Head of Algorithms at Alphabit, an actively managed cryptocurrency investment fund. He also consults companies who want to enter the blockchain space. I have been following Numerai since last year as well. I just don't see what makes NMR worth 1 billion when Numerai is so small. This is good for the ecosystem. Having one stablecoin with so much gray area surrounding it be so dominant among UAD pegged tokens is unhealthy. The slow decline of USDT plus competition without FUD is healthy. I have a lot more nice things to say about Bitcoin Cash community and devs - I want to talk more about the phenomenon of why a lot of early bitcoiners are turning to Bitcoin Cash. In 2-3 years, kids will swap social crypto tokens using platforms like Civic or Bancor like they swap snaps and likes. I don't think there's much of a difference between an ICO like Ethereum or a private presale like Zcash / Beam. It's still taking open source tech, forking it, changing some things and selling tokens for millions of dollars while also keeping tokens for yourself. In terms of fundamentals for Bitcoin, things have never been better. Lightning Network is bringing back the low fee peer-to-peer use case while retaining the decentralized base layer, which is what gives a cryptocurrency its intrinsic value as government & censorship-resistant store of value.